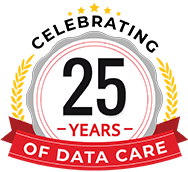 Data is your biggest asset; we help you to keep it safe. SAN (Storage Area Network) servers work in an organized way to provide access to an integrated block-level data storage that users can access by the applications running on any network servers. However, it may fail due to corruption in its hardware or software and make users lose access to all the stored data. In all these situations, you look for an efficient, successful and Secure SAN data recovery. Stellar help businesses and enterprises in recovering data from all type of SAN boxes. Our data recovery services are safe, secure, efficient & 100% private. Fortune 500 companies trust us for their data recovery requirement. If you have a damaged, corrupted, broken, or failed SAN BOX, Stellar Data Recovery can come to your rescue with quick, reliable and valid data recovery solution. We offer the following solution to recover data from SAN boxes. If your SAN box is corrupted, damaged, broken, or failed, you can rely on our Trusted, highly qualified technicians for data recovery. We can recover physically damaged, deleted, or inaccessible data from the SAN servers. Our data recovery experts can recover data from all make and models of SAN server. We ensure fast, 100% safe, secure and confidential data recovery, from all kinds of storage boxes irrespective of the data loss situation. What kind of damage to the SAN System- Logical data loss or data loss due to Physical damage? How much damage it has? Is it physically damaged? If the SAN server or any of raid becomes corrupt or inaccessible due to any logical failure, then we recommend using Stellar Data Recovery software (Technician). Our Software is used by technicians worldwide for recovering data from SAN servers. 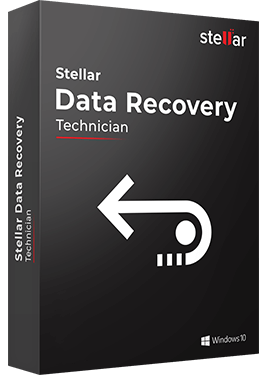 Stellar Data Recovery Technician is a DIY (do-it-yourself) data recovery software that can help you to recover deleted files & folders, inaccessible or corrupt partitions, emails etc. For SAN Data Recovery, the software comes with advanced features like RAID reconstruction and RAID volume recovery. The Stellar Data Recovery Technician – software is 100% safe and secure and easy to use interface. The software can recover data from all major brands and models of SAN (Storage Area Network) servers. 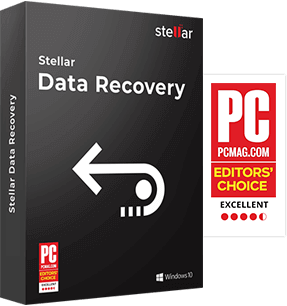 Stellar Data Recovery Technicians is the best Windows-based data recovery software to recover data from SAN storage devices. The software provides the complete solution and having advanced features to recover photos, videos, files, corrupted partition, and emails etc. * Free download to scan and preview your lost data. It is advised do not try any experiment with your SAN. And Do not replace electronic or hardware components for any fixes. Do not defrag possibly damaged drives. Do not rebuild or reinstall the original system. Do not restore a backup to the same volume/drives. This may overwrite the data, which is a permanent data loss situation. Do not try any random data recovery software to recover data. If there is some hardware failure do not use any software. Also, avoid replacing failed hard drive of your SAN server with a drive that used earlier. If you hear unusual sound from your SAN box, then you should immediately shut down your system. Working on a SAN system having data loss problem can lead to permanent data loss situation. What is SAN (Storage Area Network)? SAN (Storage Area Network) is a dedicated network of data storage devices that can be anything from Tape drives storages to RAID drive arrays. All these storage devices work together in an organized way to provide access to an amalgamated block level data storage that can be accessed by the applications running on any networked servers. What is the SAN protocol? What to do After a SAN RAID Crash? If your SAN raid server crashed, then do no try to rebuild the array. Any step can lead to further damage, and you can lose your data. It is recommended that immediately contact a professional data recovery service provider to ensure a fast and successful recovery of your essential data. What is the usage of SAN Servers? What is the significant difference between NAS or SAN? NAS is primarily used for long distance read/write operations, on the other hand, SAN is used for higher performance block level data storage. 5/5 December 26, 2018 Very Excellent. Satisfied. Thanks a lot, you guys saved my life.